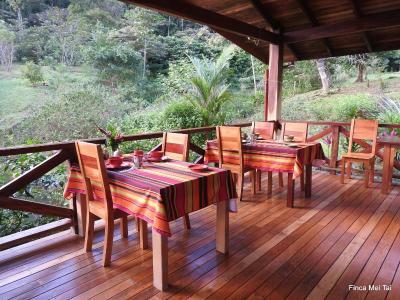 Lock in a great price for Finca Mei Tai – rated 9.9 by recent guests! 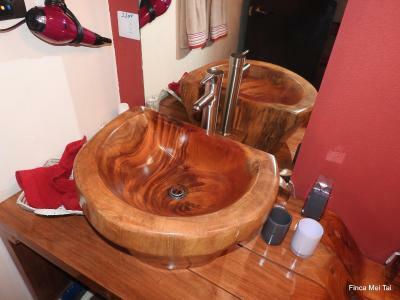 The property and bungalow were exactly as described! The bungalow even felt bigger than I expected. 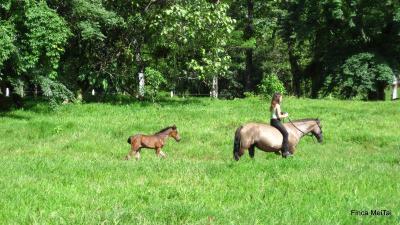 Eric and Cecile have such an amazing story of how this property came to be! It is paradise. 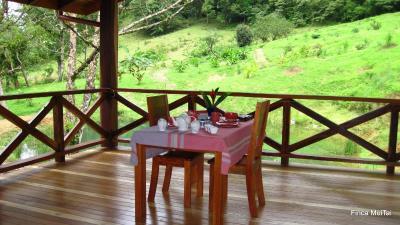 Breakfast was exceptional, as well as waking up to the most gorgeous views and sounds. The hosts were also extremely accommodating, after not one, but two flight delays! We were able to find the locations easily (a lighted sign at the entrance!) and they left the lights on for us, literally! 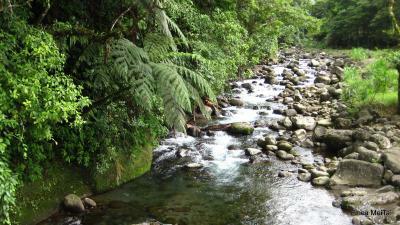 When we departed, they gave excellent advice to make the most of Rio Celeste, and our drive to Arenal. Much appreciated! Homemade and locally sourced breakfast was a real treat . Hosts were also very helpful organizing activities for our stay . Cecile is a sweetheart. We were treated so special and the breakfast was exceptional. Beautiful grounds and room tastefully decorated. Peaceful stay. Quaint little town. Celeste Waterfall a short drive away. Would definitely recommend and revisit. 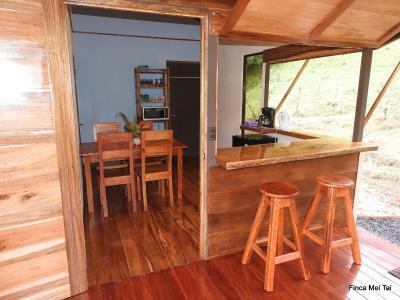 Bungalow was beautifully crafted with a great kitchen space. Everything about Finca Mei Tai was amazing. I highly recommend staying here and already cannot wait to return. It was so wonderful meeting Cece and Eric. They are truly great people and have the best stories! We miss them already! Eric and Cecile were both lovely hosts who helped us plan our stay and recommended local attractions. 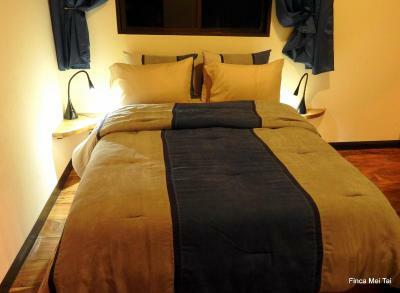 Our chalet was spotlessly clean and contained everything needed for a comfortable stay with a well equipped kitchen and bathroom and good quality towels and linen. The breakfasts were lovely and local produce was used. We were amazed with this location. 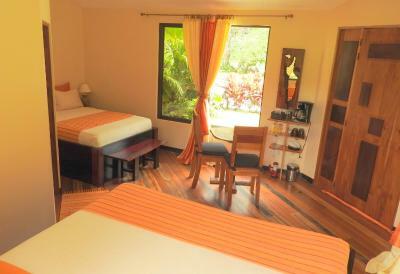 Very high standard of rooms, amazing and very friendly owner. Perfect european style breakfast (with delicious cottage bread baked by the owner). 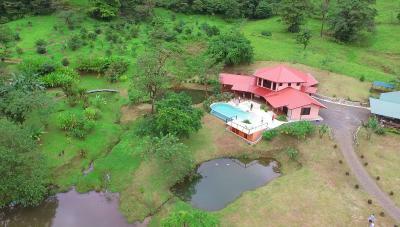 We spent in this place most wonderfull and memorable day during whole our 17days travel in Costarica If you have luck you will be able to make similiar photos of theese wonderfull frogs I made nearby the house and pool. 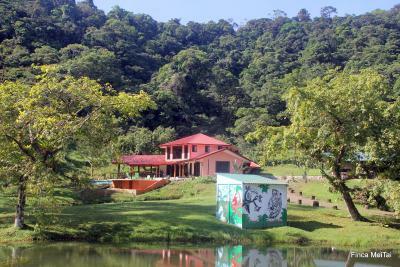 We definitely recommend this place to anyone interested to visit the region. Beautiful wooden house, absolute eye for detail. Cecile and Eric are incredibly helpful and friendly hosts. The breakfast is outstanding. 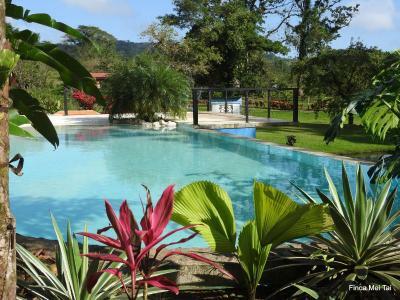 Finca Mei Tai This rating is a reflection of how the property compares to the industry standard when it comes to price, facilities and services available. It's based on a self-evaluation by the property. Use this rating to help choose your stay! One of our best sellers in Bijagua! 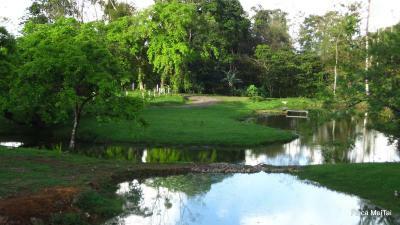 Featuring 40 hectares of rainforest with lakes, and domestic and wild life, Finca Mei Tai has a swimming pool. 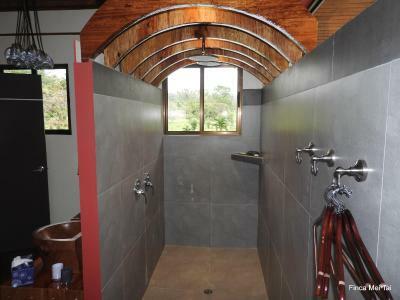 Offering three private rooms in a separate guest house, the units have a seating area to relax and a private bathroom with shower. All rooms have mountains views. 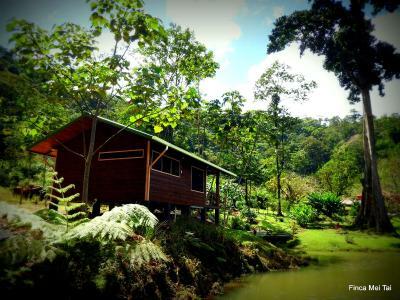 This accommodations is only a 30 minutes drive away from Rio Celeste while the rainforest is at your fingertips just 150 feet away. 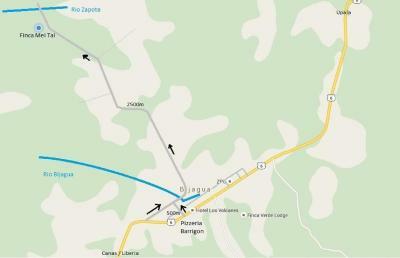 Liberia International Airport is about 90 minutes' drive away from Finca Mei Tai. 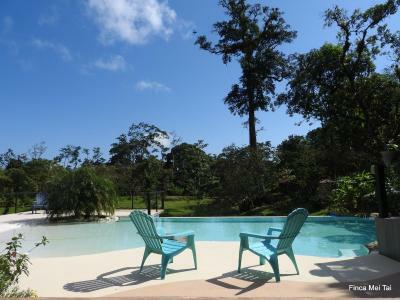 This property also has one of the top-rated locations in Bijagua! Guests are happier about it compared to other properties in the area. 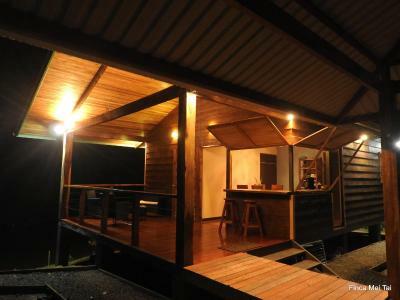 This property is also rated for the best value in Bijagua! Guests are getting more for their money when compared to other properties in this city. 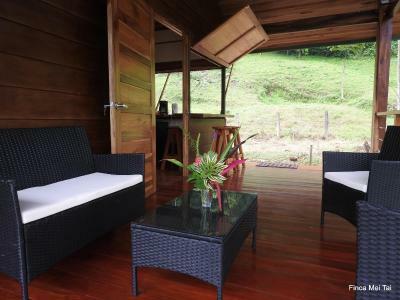 When would you like to stay at Finca Mei Tai? 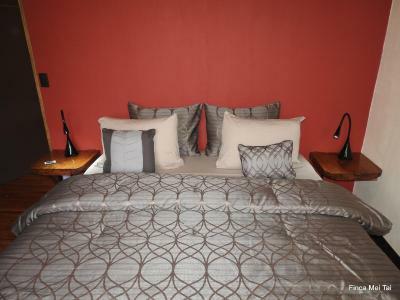 This quadruple room has a private entrance, fridge, seating area and tea/coffee maker. 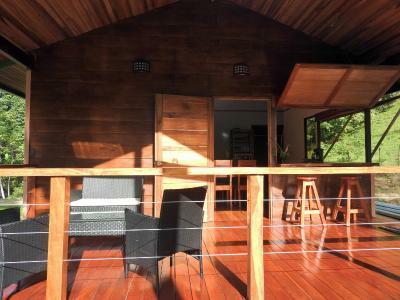 Large double room chalet with outdoor kitchen and terrace. 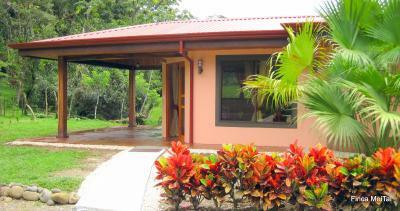 Private entrance, fridge, outdoor kitchenette, tropical Bluetooth seating area and shower. 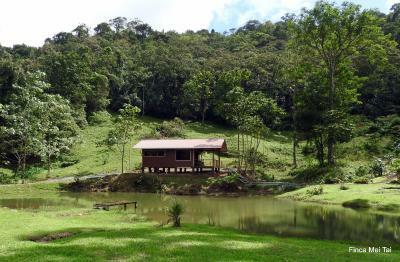 Spread over a vast area, the Mei tai Finca offers a superb vista to an incredible variety of landscapes : forests, pastures, rivers, streams, lakes and a coco plantation. Our house is designed to blend in with its magical surroundings. 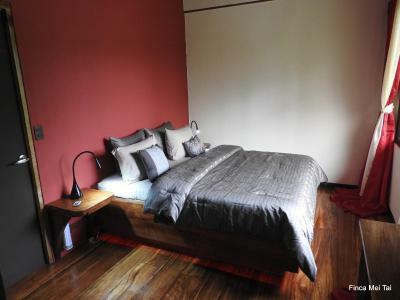 House Rules Finca Mei Tai takes special requests – add in the next step! Finca Mei Tai accepts these cards and reserves the right to temporarily hold an amount prior to arrival. 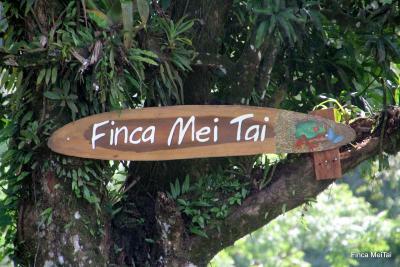 Please inform Finca Mei Tai of your expected arrival time in advance. You can use the Special Requests box when booking, or contact the property directly using the contact details in your confirmation. There was nothing to complain about. Perfect! Eric and Cecilia were outstanding hosts who made our stay special. 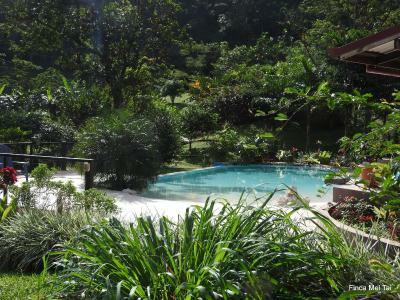 Everything about Finca Mei Tai was exceptional from the cabin, breakfast, pool and grounds. All facilities and finishes were top end. 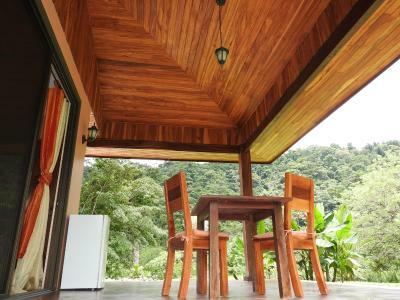 We had a very relaxing stay watching the resident hummingbirds and nesting toucans. 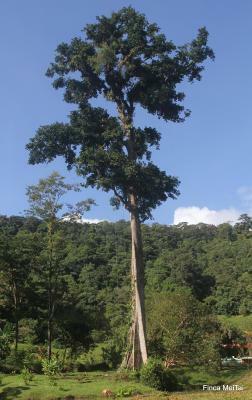 There is a moderate walk through the bush on the property if you want to experience a lush rainforest. Cecilia helped us organise activities and was very friendly and interested. Breakfast was delicious with many homemade and home grown foods. 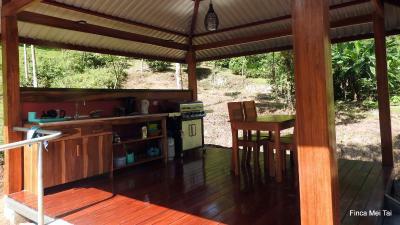 Thanks for our best accommodation in Costa Rica. Cecilia and Eric you made our stay extra special. For more convenience, it would be great to have a possibility to pay by a credit card. ;-) Otherwise, everything was perfect! It's a true gem! 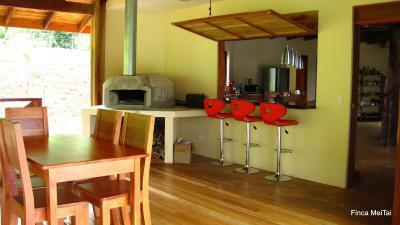 The houses are new and they are designed and built with great taste and quality. Everything was perfect: the quiet and comfortable sleep, the beautiful view, the gorges pool, and especially the breakfast was super delicious! 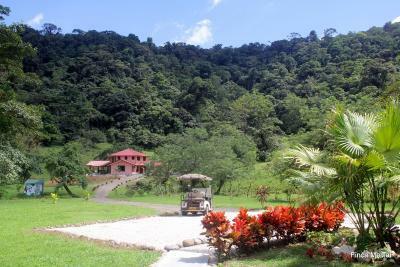 Cecil gave us a lot of valuable advice regarding the local restaurants, Volcano Tenorio reserve, and the place where it was possible to have a deep in the Rio Celeste river. Definitely, recommend! 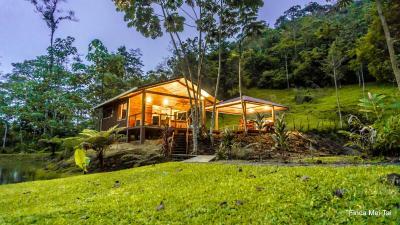 This was by far our best stay in Costa Rica. Cecile and Eric (a.k.a. the wizard of wood!) are incredibly friendly and informative hosts, they gave us so much useful and interesting information about their place and recommendations for nearby activities. The entire property is downright stunning. 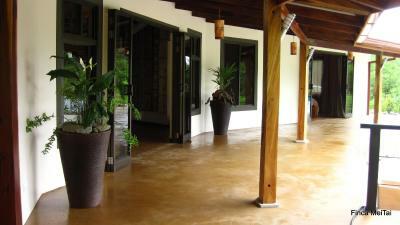 We could not believe what a beautiful and well-crafted place they have built themselves and their lucky guests. 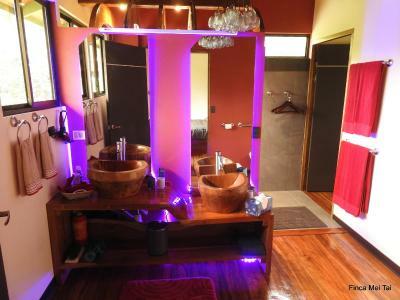 Everything was perfectly clean, designed in a stylish way and well thought out. 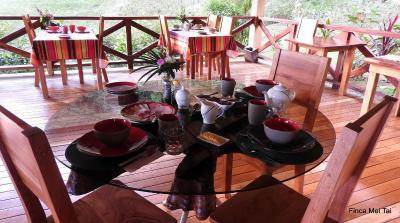 Breakfast was delicious, enriched with fresh fruit, locally grown coffee and self-made jam. My only criticism is that the room could use some cupboards/drawers or a few more hooks for clothes. 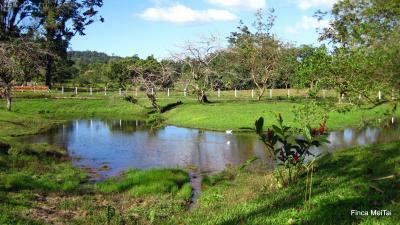 The property is extensive and well-maintained with resident Muscovy ducks and a tiger-heron that enjoys water snakes. The breakfast was generous and delicious and if you are a fan of fruit, you are in for a treat. Both Eric and Celine were always willing to help with suggestions or local information. We are birders and this place was heaven for us. 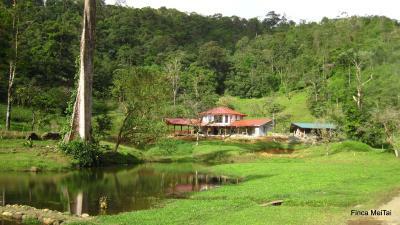 Wonderful lodge, luxuries accommodation, very nice garden with birds, but most of all extremely friendly and helpful owners. We regretted having to go again.